From 1923 to 1925, Flynn was educated at the South West London College, a private boarding school in Barnes, London. Flynn went to Cuba in late 1958 to film the self-produced B film Cuban Rebel Girls, where he met Fidel Castro and was initially an enthusiastic supporter of the Cuban Revolution. He wrote a series of newspaper and magazine articles for the New York Journal American and other publications documenting his time in Cuba with Castro. Many of these pieces were lost until 2009, when they were rediscovered in a collection at the University of Texas at Austin's Center for American History. He narrated a short film titled Cuban Story: The Truth About Fidel Castro Revolution (1959), his last-known work as an actor. Gould then performed a leg massage in the apartment's bedroom and advised Flynn to rest there before resuming his journey. Flynn responded that he felt "ever so much better." After 20 minutes Aadland checked on Flynn and discovered him unresponsive. 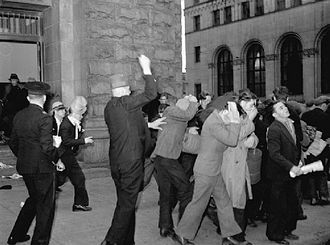 Despite immediate emergency medical treatment from Gould and a swift transferral by ambulance to Vancouver General Hospital, he did not regain consciousness and was pronounced dead that evening. The coroner's report and the death certificate noted the cause of death as myocardial infarction due to coronary thrombosis and coronary atherosclerosis, with fatty degeneration of liver and portal cirrhosis of the liver significant enough to be listed as contributing factors. He is buried at Forest Lawn Memorial Park Cemetery in Glendale, California, a place he once remarked that he hated. 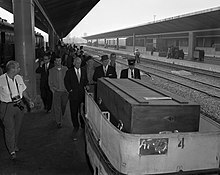 ^ "Errol Flynn autopsy - Documents". Documents.tips. 4 March 2015. Archived from the original on 19 February 2018. Retrieved 11 June 2017. ^ "Errol Flynn Dies: Veteran Hollywood Swashbucker, 50, Succumbs in Canada", Los Angeles Times, 15 October 1959, p. A1. A swashbuckler is an heroic archetype in European adventure literature that is typified by the use of a sword and chivalric ideals. The archetype became common as a film genre, a swashbuckler is a protagonist who is heroic and idealistic, he rescues damsels in distress, defends the downtrodden, and in general saves the day. Swashbucklers are not unrepentant brigands or pirates, although some may rise from such disreputable stations in redemption and his opponent is typically characterized as the dastardly villain. Swashbuckler is a compound of swash and buckler dating from the 16th century, the larger-than-life heroics portrayed in some film franchise adventures set in the modern era have been described as swashbuckling. Jeffrey Richards traces the swashbuckling novel to the rise of Romanticism, Medieval tales of chivalry and adventure rediscovered in the eighteenth century. This type of novel was further developed by Alexandre Dumas. John Galsworthy said of Robert Louis Stevensons 1888 swashbuckling romance, The Black Arrow, Anthony Hopes 1894, the The Prisoner of Zenda initiated an additional subset of the swashbuckling novel, the Ruritanian romance. Soon actors were taught to fence in an entertaining, dramatic manner, eventually fencing became an established part of a classical formation for actors. Consequently, when movie theaters mushroomed, ambitious actors took the chance to present their accordant skills on the screen. 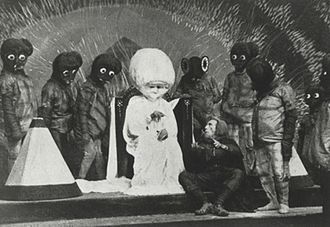 Since silent movies were no proper medium for long dialogues, the stories about heroes who would defend their honor with sword in hand were simplified. This was the birth of a new kind of film hero, four of the most famous instructors for swashbuckling swordplay are William Hobbs, Anthony De Longis, Bob Anderson and Peter Diamond. 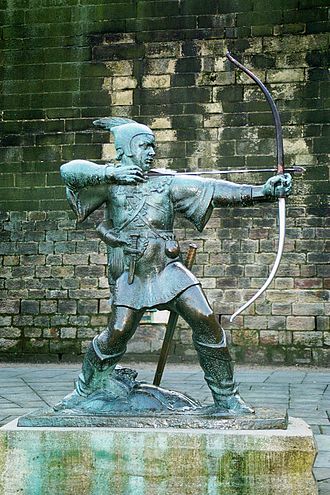 The genre has, apart from swordplay, always characterized by influences that can be traced back to the chivalry tales of Medieval Europe, such as the legends of Robin Hood. 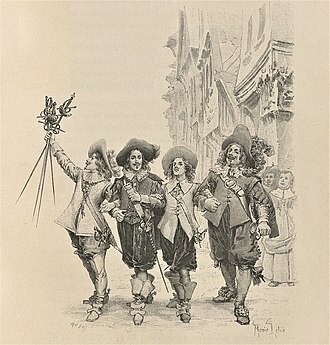 It soon created its own based on classic examples like The Mark of Zorro, The Three Musketeers. Some films did use motifs of pirate stories, swashbucklers are one of the most flamboyant Hollywood film genres, unlike cinema verite or modern realistic filmmaking. Battery Point is a suburb of the city of Hobart, Australia. It is immediately south of the business district. It is in the government area of City of Hobart. 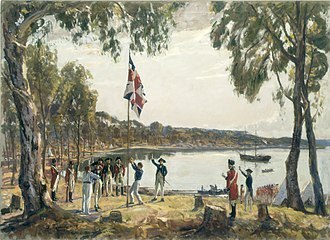 Battery Point is named after the battery of guns which were established on the point in 1818 as part of the Hobart coastal defences, the battery was situated on the site of todays Princes Park. The guns were used to fire salutes on ceremonial occasions but, the battery was decommissioned after an 1878 review of Hobarts defences found that its location would tend to draw an enemys fire onto the surrounding residential neighbourhood. The site was handed over to the Hobart City Council as a place of recreation. When the Council carried out works to beautify the park in 1934, the area is generally known as one of the citys more prestigious suburbs, with many large and extravagant homes and apartment blocks. It adjoins the waterfront Salamanca area as well as the prestigious suburb of Sandy Bay. Battery Point has a number of historic houses dating from the first European settlement of Hobart Town. 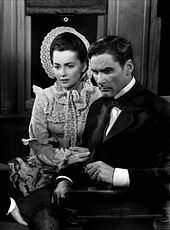 Santa Fe Trail is a 1940 American western film directed by Michael Curtiz and starring Errol Flynn, Olivia de Havilland, Raymond Massey and Ronald Reagan. Written by Robert Buckner, the film is about the abolitionist John Brown and George Armstrong Custer as they duel for the hand of Kit Carson Holliday. The film was one of the films of the year. The outdoor scenes were filmed at the Lasky Movie Ranch in the Lasky Mesa area of the Simi Hills in the western San Fernando Valley. One can visit the location site, now in the very large Upper Las Virgenes Canyon Open Space Preserve. At the West Point Military Academy in 1854, the cadet Carl Rader, is discharged for spreading anti-slavery pamphlets. His classmates Jeb Stuart and George Custer become second lieutenants and are posted to Fort Leavenworth, Kansas Territory, the most dangerous duty in the army—an assignment they relish. On the way to Kansas and Stuart meet Cyrus K. Holliday, in charge of building the railroad to Santa Fe, New Mexico, the Kansas Territory is bloodstained and war-torn, a victim of John Browns relentless crusade against slavery. Meanwhile, Rader has enlisted as a mercenary in Browns army, in disguise, Stuart rides into Palmyra, the center of the Underground Railroad, but Browns men spot Stuarts horse with an army brand and he is captured and they take him at gunpoint to Brown. While trying to escape, Stuart is trapped in a burning barn, three years go by to 1859. Believing that Browns force has been broken and Custer are sent back to Washington, far from being defeated, Brown is planning to ignite war by raiding the arsenal at Harpers Ferry, Virginia. When Brown refuses to pay Rader for his services, Rader rides to Washington to alert Stuart of Browns plans, Brown is tried for treason by the state of Virginia, and hanged. The movie ends with Stuart and Kit being married, the American Civil War and abolition of slavery are presented as an unnecessary tragedy caused by an anarchic madman. This film takes liberties with the historical facts, Stuart. Stuart graduated from West Point in 1854 and Custer graduated in 1861, Stuart served in the 1st Cavalry Regiment and Custer served in the 2nd and 5th Cavalry Regiments. Patrice Wymore Flynn was an American film and stage actress of the 1950s and 1960s, known for her marriage to Errol Flynn. 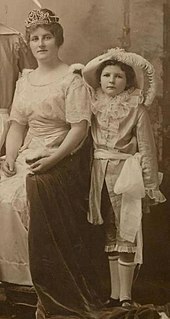 Born Patricia Wymore in Miltonvale, Kansas, to a family of vaudeville performers, by the time she reached adulthood, she was an accomplished dancer with a good singing voice. She auditioned in New York City for a part in Up in Central Park and she performed in the Broadway musical Hold It. 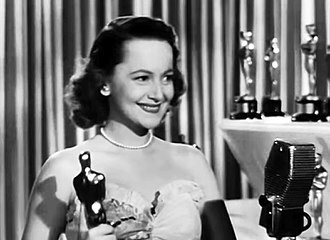 for which she won a Theatre World Award for Promising Actress. 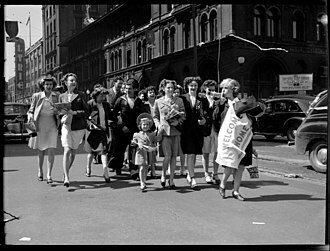 This was followed by a stint in the revue All for Love in 1949. Wymores first film appearance was in the 1950 film Tea for Two, opposite Doris Day and Gordon MacRae and that same year she starred in Rocky Mountain opposite Hollywood legend Errol Flynn, with whom she would become romantically involved. 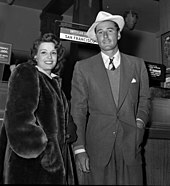 Flynn and Wymore were traveling and living in Europe, mainly in Mallorca aboard of Zaca, at the age of 23, she married the 41-year-old actor in October 1950 at the Lutheran Church, France. Wymore continued to act, appearing in films over the next few years, musical Ill See You in My Dreams. She guest starred as herself in the 1951 musical film Starlift, performing the song Liza. It was followed by a role as singer in the Kirk Douglas feature The Big Trees. In 1953, she appeared alongside Mayo in musical dramedy Shes Back on Broadway, by this stage Wymore had fulfilled her contract with Warner and was released. She temporarily retired from Hollywood after giving birth to her daughter, Arnella Flynn, the daughter would become a fashion model in Europe. 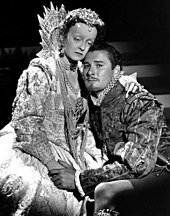 In 1955 she appeared with her husband Errol Flynn and Anna Neagle in the version of Kings Rhapsody. Although only in his forties, Flynn was already in a physical and mental decline by the time they married, Wymore took a break from acting to care for her now ailing husband, and to better raise their daughter, while settling on their estate in Jamaica. However, due to Flynns alcohol and drug addictions, the couple separated and they never divorced and were still married at the time of his death on October 14,1959. Following Flynns death, Wymore returned to acting, mostly in summer stock musicals such as Carnival and Dolls, Irma La Douce, and Gentlemen Prefer Blondes. Sean Leslie Flynn was an American actor and freelance photojournalist best known for his coverage of the Vietnam War. 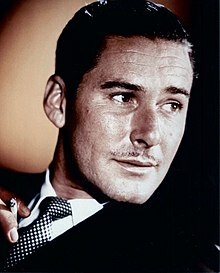 Flynn was the child of Australian-American actor Errol Flynn and his first wife. After studying briefly at Duke University, he embarked on an acting career and he retired by the mid-1960s to become a freelance photojournalist under contract to Time. In a search of images, he traveled with special forces units. While on assignment in Cambodia in April 1970, Flynn and fellow photojournalist Dana Stone were captured by communist guerrillas, neither man was seen or heard from again. 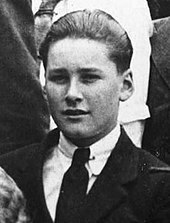 In 1984, Flynns mother had him declared dead in absentia, Flynn first appeared in front of the cameras at the age of fifteen, when he appeared in an episode of his fathers television show, The Errol Flynn Theatre. The episode, Strange Auction, was broadcast in the U. K. in 1956, in 1960, at the suggestion of his friend, actor George Hamilton, Flynn filmed a scene in Hamiltons picture Where The Boys Are. 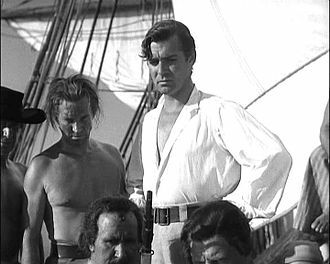 Most of his scenes ended up on the cutting room floor, in 1961, at the age of 20, Flynn accepted a contract to appear in the 1962 Il Figlio del Capitano Blood, a sequel to his fathers hit film Captain Blood. The film was released in the U. S. in 1964 as The Son of Captain Blood. He made a few films in Europe, including Il segno di Zorro, Verspätung in Marienborn with José Ferrer, Agent Special a Venise Voir Venise et. Crever. Flynn became bored with acting, and he went to Africa in late 1964 to try his hand at being a guide for safaris and he spent time as a game warden in Kenya. In the summer of 1966, Flynn went to Singapore to star in his eighth and final film, Flynn tried being a singer, recording two songs for a company known as Hi-Fidelity R. V. Records in 1961, Stay in My Heart b/w Secret Love, the songs were released regionally as a 45rpm single. The single is now a collectors item. 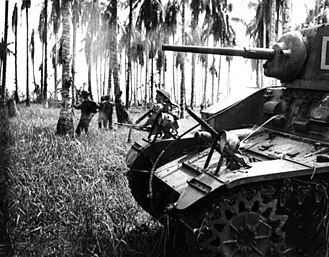 Flynn arrived in South Vietnam in January 1966 as a freelance photojournalist, first for the French magazine Paris Match, for Time Life and his photos were soon published around the world. The mutiny on the Royal Navy vessel HMS Bounty occurred in the south Pacific on 28 April 1789. 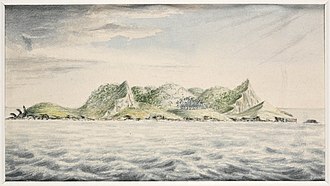 Led by Acting Lieutenant Fletcher Christian, disaffected crewmen seized control of the ship from their captain, Lieutenant William Bligh, the mutineers variously settled on Tahiti or on Pitcairn Island. 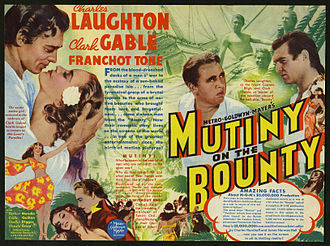 Bligh meanwhile completed a voyage of more than 3,500 nautical miles in the launch to reach safety, Bounty had left England in 1787 on a mission to collect and transport breadfruit plants from Tahiti to the West Indies. 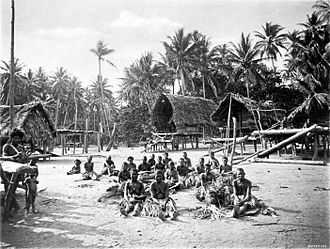 A five-month layover in Tahiti, during many of the men lived ashore and formed relationships with native Polynesians. Relations between Bligh and his crew deteriorated after he began handing out increasingly harsh punishments and abuse, after three weeks back at sea and others forced Bligh from the ship. 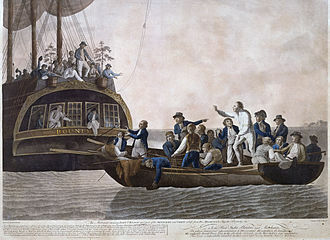 Twenty-five men remained on board afterwards, including loyalists held against their will, Bligh reached England in April 1790, whereupon the Admiralty despatched HMS Pandora to apprehend the mutineers. 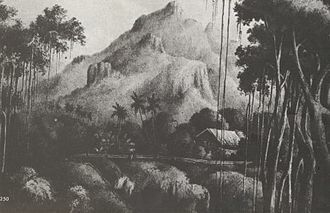 Fourteen were captured in Tahiti and imprisoned on board Pandora, which searched without success for Christians party that had hidden on Pitcairn Island. After turning back toward England, Pandora ran aground on the Great Barrier Reef, the 10 surviving detainees reached England in June 1792 and were court martialled,4 were acquitted,3 were pardoned, and 3 were hanged. 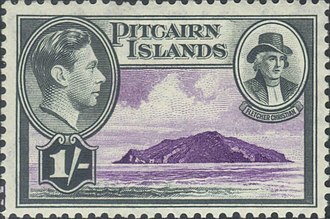 Christians group remained undiscovered on Pitcairn until 1808, by time only one mutineer, John Adams. Almost all his fellow mutineers, including Christian, had been killed, no action was taken against Adams. 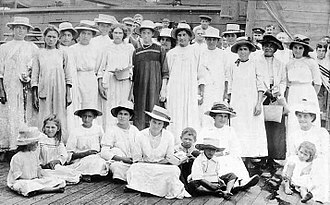 Descendants of the mutineers and their Tahitian consorts live on Pitcairn into the 21st century and his Majestys Armed Vessel Bounty, or HMS Bounty, was built in 1784 at the Blaydes shipyard in Hull, Yorkshire as a collier named Bethia. She was renamed after being purchased by the Royal Navy for £1,950 in May 1787 and she was three-masted,91 feet long overall and 25 feet across at her widest point, and registered at 230 tons burthen. 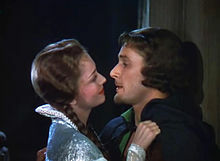 Captain Blood is a 1935 American black-and-white swashbuckling pirate film from First National Pictures and Warner Bros. Pictures, produced by Harry Joe Brown and Gordon Hollingshead, directed by Michael Curtiz, that stars Errol Flynn, Olivia de Havilland, Basil Rathbone, and Ross Alexander. An earlier 1924 silent film version of Captain Blood starred J. Warren Kerrigan as Peter Blood, Pictures took a serious risk in pairing two relatively unknown performers in the lead roles. Flynns performance made him a major Hollywood star and established him as the successor to Douglas Fairbanks, Sr. The same year, Basil Rathbone starred with Flynn in The Dawn Patrol, in 1962 Flynns son Sean starred in The Son of Captain Blood. 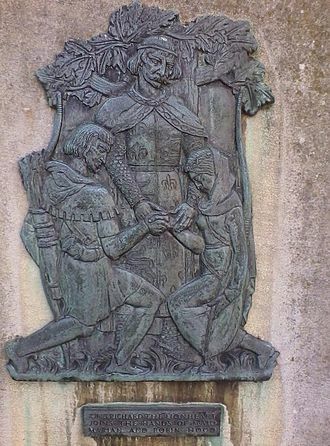 In 17th-century England, Irish doctor Peter Blood is summoned to aid Lord Gildoy, arrested while performing his duties as a physician, he is convicted of treason against the King and sentenced to death by the infamous Judge Jeffreys. By the whim of King James II, who sees an opportunity for profit, Blood, in Port Royal, Blood is purchased by Arabella Bishop, the beautiful niece of local military commander Colonel Bishop. Attracted by Bloods rebellious nature, Arabella does her best to improve his situation by recommending him as the physician of the colonys governor. Outwardly resentful towards Arabella, yet silently appreciative for her efforts on his behalf, Blood develops a plan for himself. The plan is almost uncovered by the suspicious Colonel Bishop, who has one of Bloods men flogged and interrogated, Blood is spared a similar fate when a Spanish man-o-war attacks Port Royal. During the raid and his fellow slaves seize the Spanish ship from its drunken night watch and his men quickly achieve great fame among the brotherhood of buccaneers. When the old governor is unable to contain the pirate menace and he sends Arabella to England on an extended holiday, but three years she returns to the Caribbean. When Levasseur vehemently objects, Blood is forced to kill him in a duel, Blood offers Arabella valuable jewelry from his conquests as a sign of his love for her. Ungrateful for her rescue, Arabella is indignant at having been purchased by Blood, angered by her rejection, he orders his men to set sail for Port Royal where he will deliver Arabella and Lord Willoughby, despite the danger to himself and his crew. 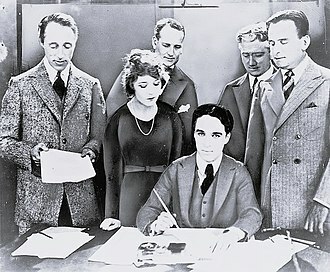 D.W. Griffith, Mary Pickford, Charlie Chaplin (seated) and Douglas Fairbanks at the signing of the contract establishing United Artists motion picture studio in 1919. 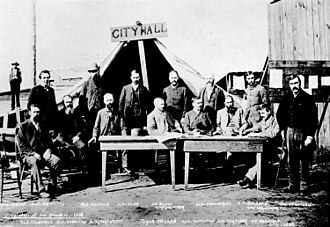 Lawyers Albert Banzhaf (left) and Dennis F. O'Brien (right) stand in the background. 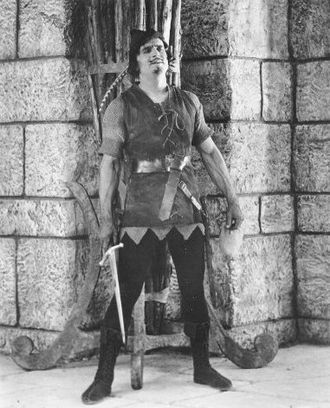 Douglas Fairbanks in the title role in Robin Hood (1922). Lyons with other senior figures in the newly created Liberal Party in 1946 – from left to right: Robert Menzies, Eric Harrison, Harold Holt, and Thomas White. D'Artagnan and the Three Musketeers.